For returning students paying total tuition without a loan Tuition total is due by June 15th of each year. Payment made after this date will include a $250 penalty fee. 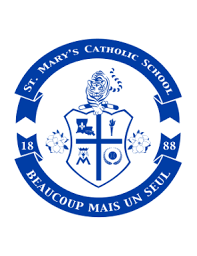 For new to St. Mary’s School students paying total tuition without a loan Tuition total is due by August 1st. If a new student enrolls after August 1st, payment in full must be received at registration. Tuition loans for St. Mary’s families are serviced by the Bank of Montgomery of Natchitoches. Each 10-month term loan is financed at 4.43%. For returning students Loan information must be signed and received by St. Mary’s by June 15, 2018. Failure to sign the pre-arranged installment loan program papers by June 15th, will result in a penalty of $250 per returning student. Monthly loan payments are automatically withdrawn by BOM on the 15th of each month, with the first draw July 15, 2018 and the last April 15, 2019. IN SIGNING A LOAN AGREEMENT WITH BOM THE FAMILY ENSURES CONTINUATION OF PAYMENTS UNTIL THE DEBT IS PAID IN FULL REGARDLESS OF STUDENT’S ENROLLMENT. PAST-DUE ACCOUNTS WILL DELAY THE ISSUING OF GRADES AND/OR PARTICIPATION IN SPORT OR AUXILIARY ACTIVITIES. For new students Loan information must be signed and received by St. Mary’s by June 15, 2018. Special arrangements are made for new students registering after July 31. For returning students Partial tuition payment (check/money-order/online) must be received by the school on or before May 16, 2018. Once received by the school, all information will be forwarded to bank. For new students Special arrangements are made for new students registering after July 31. When signing the loan agreement with BOM, each family is ensuring that if the student’s enrollment ceases, for any reason during the school year, the family will continue to make all loan payments until the debt is paid in full. Any past due accounts of any option selected may result in a student’s grades or transcripts being withheld or may prevent participation in any sport or auxiliary activity. If a student attends at least one day of school of any academic year, school policy states that no refund is provided. Assistance with tuition, in the form of partial grants, may be available for qualifying St. Mary’s families. Assistance is intended to aid with tuition expenses; however, they do not cover full tuition or any applicable fees. Assistance for students’ grades K – 12 is determined based on documentation submitted by the family through Tuition Assistance Data Services (www.tads.com). The family applying for assistance, through this third-party service, is responsible for submission of all information. Funds for this assistance are limited; therefore, all applications must be submitted to TADS no later than May 1, of each year. Families must re-apply for assistance each year. For more information concerning tuition assistance please contact the Registrar.